Linux | WordPress and DotNetNuke Website Design and Development. I’d like to install the regularly updated version of Firefox. A new installation of Debian was showing as using the stable long term supported Firefox ESR (extended support release) package. The task was to remove the package firefox-esr and install the package firefox, or its installation equivalent. However, that can wait until the other package is all installed and shown to be working. Yes, you can run both versions of Firefox. To delete the stable version of Firefox and install in its place the I would prefer to use the more regularly updated version of Firefox. Comparing the new computer installation against an existing operational computer. 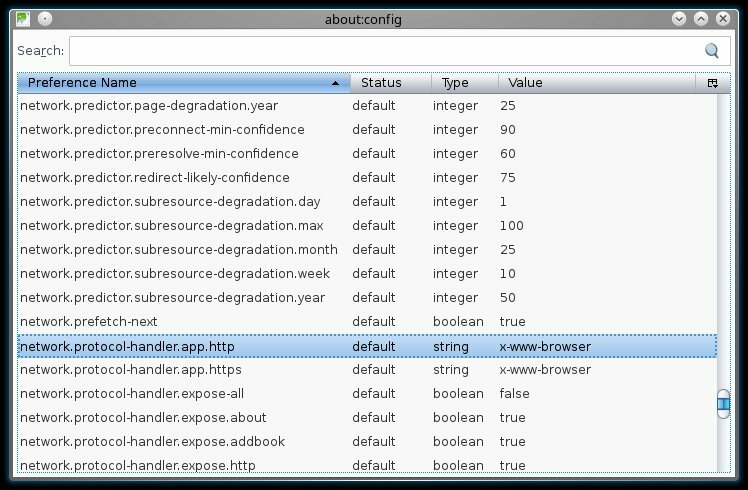 The one which was already configured, there was a limited number of firefox-esr packages shown, with lots of language variations on the firefox package. Can I simply install the firefox package then? Should I use one of the language representations, as listed in the search? Trying once more with the install and getting the now usual no installation candidate error. I also replicated the reference to the testing distribution, adding two comparable lines for experimental. As before I actioned an update and tried to do the installation. Another installation candidate error. Looking at the Debian wiki page for Firefox it suggests using the unstable distribution. Success! I now had the regularly update Firefox version installed. 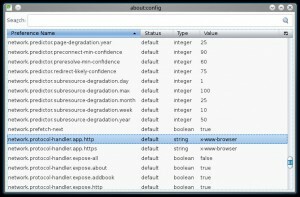 Firefox as opposed to Firefox-esr can be installed on Debian via the repositories with a simple change to the sources.list file and acouple of command line actions. I bought a custom HTML website template with a 404.html page. How do I use it? If I enter a wrong website address I don’t see the 404 page my browser simply shows a generic message from the hosting control panel. The server needs to be configured to tell it what to do with when a page doesn’t exist. The changes can be made in the .htaccess file found in the root of the public website. Changes can be made either by FTP or via the file manager within the hosting control panel. Often the file view begins one level down. Look for a directory called public_html, or similar. where 404.html is amended according to your error file name. But this doesn’t work fully.. The error page is now shown as wished, but the address stays with the wrongly entered page. What is required to complete is to redirect to the 404.html page. For this we’ll use the redirects. The above is added to the .htaccess file. The first line turns on the redirects. Lastly the setting of the rewrite rule which takes the visitor to the 404.html page located in the root of the website. With an update of Debian packages there was a message related to the speech dispatcher. Given below is the relevant lines from the apt upgrade, relating to speech-dispatcher. [speech-dispatcher.conf:1] Line references path below legacy directory /var/run/, updating /var/run/speech-dispatcher → /run/speech-dispatcher; please update the tmpfiles.d/ drop-in file accordingly. [speech-dispatcher.conf:2] Line references path below legacy directory /var/run/, updating /var/run/speech-dispatcher/.cache → /run/speech-dispatcher/.cache; please update the tmpfiles.d/ drop-in file accordingly. [speech-dispatcher.conf:3] Line references path below legacy directory /var/run/, updating /var/run/speech-dispatcher/.speech-dispatcher → /run/speech-dispatcher/.speech-dispatcher; please update the tmpfiles.d/ drop-in file accordingly. [speech-dispatcher.conf:4] Line references path below legacy directory /var/run/, updating /var/run/speech-dispatcher/.cache/speech-dispatcher → /run/speech-dispatcher/.cache/speech-dispatcher; please update the tmpfiles.d/ drop-in file accordingly. [speech-dispatcher.conf:5] Line references path below legacy directory /var/run/, updating /var/run/speech-dispatcher/log → /run/speech-dispatcher/log; please update the tmpfiles.d/ drop-in file accordingly. Whilst writing the two recent articles about blocking xml-rpc access and the matching of files in htaccess. .htaccess uses Files and FilesMatch to control access to files. So what’s the difference and when should each be used? Well none really. Its all about presentation and making the reading of the file easier to view. When reading down better to see the single Files entry and expect a corresponding single file, in this case wp-config.php. And to have a multiple match of files, as given a number of image extensions. Again the FilesMatch leads the reader to expect that the match will be multiple files. In the above two examples the files section is used to define the matching criteria and to set the actions associated. I’ve shown two different example of file selection, but both are configured to allow access to their respective matching files to all visitors, except the single IP address. Both of the above to examples are code added to the file .htaccess in the root of the website with the purpose of governing the access to files of the website. An example of this code in use is in the blocking of xml-rpc. Every so often there’s a new exploit targeted. This shows as an increase in the rate against a particular file. For example some time ago there were lots of attempts trying to access to the file upload.php in either themes or plug-ins. This reflects a vulnerability in an inclusion within a number of themes. With the aim that only authorised users and IP address shall be looking to upload content I looked towards using the .htaccess file to add the restriction. The .htaccess file is located in the root of the website. It allows local configuration overrides of the Apache web server. Access is restricted using the old favourite of deny and allow. For example to only allow access from the IP address of 192.0.2.52. Here we first set the access rule order to be deny, then allow. Where the order defines the sequence in which the deny and allow rules are processed. The actual order in which the rules are presented within the .htaccess file doesn’t matter. Based upon the order either the deny rules will be processed first or the allow ones. Beware – if the order in the above were set to Order Allow, Deny, the result would be to prevent access to all. The single address would be allowed, followed by all attempts at access being denied. The restriction can be further adapted to incorporate the files structure. Either individual files or directories. In the above example a specific file is entered. The index.php file in the root of the website. An alternative is a match, without the directory structure, with the simple name of the file. This is the form which we will use, replacing /index.php with upload.php. It will then be restricted in whatever directory it is found, accounting for the potential themes and plug-ins. Here I’ve prevented access to compressed files and includes. When matching multiple files FilesMatch is used in preference to Files. Although either may be used, its easy to read and gather the implication of the code within the .htaccess file where FilesMatch is showing an expectation of multiple matches, as opposed to the single file. Links in IceDove email messages weren’t opening in IceWeasel. How to configure IceDove link options? Changing these advanced settings can be harmful to the stability, security and performance of the application. You should only continue of you are sure of what you are doing. I'll be careful,  I promise! I scrolled down the list and changed the entry to IceWeasel. From the pop-up menu, select “New”. From the next pop-up menu, select “String”. Subsequent to following the dialogue I tried returning to the preferences and the config editor. The settings achieved through the linked dialogue proved to be used in place of any settings selected within the preferences. I chose to resolve by editing root’s .bashrc (/root/.bashrc)file adding an export reference for the path at the end of the file. You’ll need to login afresh for the change to be adopted.